Diggers and brute breakers are used by professional craftsmen for heavy duty tasks and demanding jobs. These challenges require high quality products and Makita understands the demands pretty well by delivering diggers and brute breakers that are leagues ahead of their competition with exceptional performance and reliability. 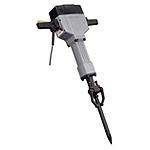 If you are concerned about your broken or faulty digger or brute breaker, then it’s time to throw your worry aside. 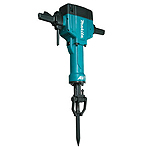 Now you can buy Makita digger parts and Makita brute breaker parts at toolpartsPro at competitive prices. These are genuine Makita repair parts that can seamlessly replace the faulty ones to replicate the performance of a brand new tool. At toolpartsPro, we are devoted to provide our customers with luxurious shopping experience with best online prices that can’t be matched and superb customer service and expert’s advice. Search your desired item using our search bar and place your order right away or call us at our toll free number 888 982 6540 to get access to the services of our customer care department.